Oil painting on canvas - 36 x 24" on Indian heritage culture of Kutch. 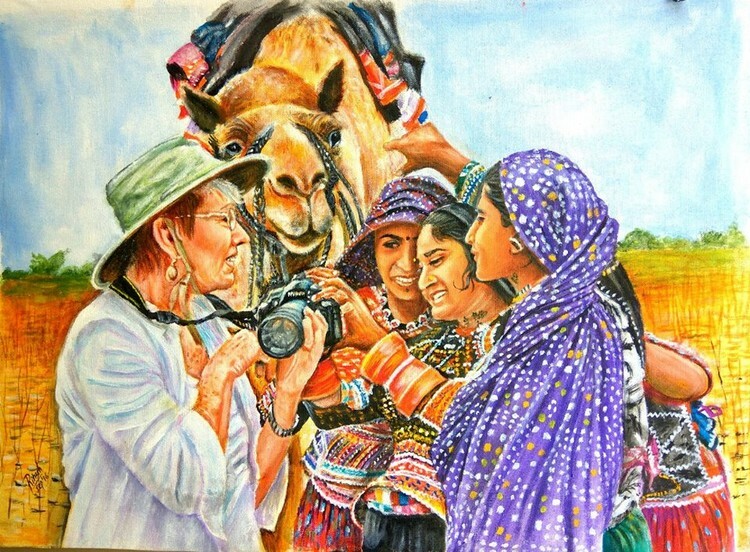 Good painting and illustration of these women discussing the camera. Even the camel is interested. The colors and fabric designs add to the culture diversity. SO WELL DEPICTED .. WELL DONE RITESH ..